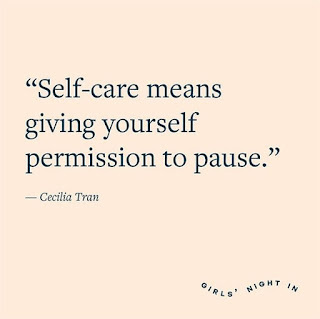 It's almost the end of the week and its time I got serious about self-care. This was on my goals list for 2019, and I think its something I really need to focus on. I'll be honest, I've been feeling a bit burned out. 2018 was rough, both at work and at home. I was giving so much of myself at work that by the time I got home, there was nothing left. All I'd want to do is change into PJ's and do nothing! I neglected to pay bills, which caused problems and neglected several other personal things. My home life was suffering and then things began to get out of control at work. I started feeling picked on, everything I did or didn't do was being scrutinized so as you can imagine, this started affecting me, my mood and mind. I wish I can say things improved, but I think they've gotten worse, at work that is. That I cannot control. I cannot control what my boss thinks of me. I work, work & work and do the best I can only to continue to be scrutinized and told that I'm not doing a good job. So, the only thing I can control is myself. I'm now trying to not stress. Once I leave work, I leave it there.....never bring it home. I'm working on keeping an open & clear mind. This is where self-care has to be part of my life on a regular basis. I need to take time every day to do something for me. My early morning workouts are a start. They are also a great stress reliever and will help me lose the weight I need to lose. The second thing I want to add to my self-care list is reading. I enjoy a good book and my goal is to read 2 books a month. One will be a personal development book and the other will be a fun book. I'm currently reading "Better Than Before - Mastering the Habits of Our Everyday Lives" by Gretchen Rubin. I have enjoyed it and I'm almost finished. Then I will have to pick a second book. Another thing I've wanted to do for my self-care is a nice hot bath once a week. I started out great but this past Sunday I skipped it. I just couldn't make the time to sit and relax in a bath for an hour - too much to do. This is what I need to catch myself doing and stop. I should have made the time for my bath. I'm really regretting it today! Finally, sometimes I don't have time for any of the above or its the middle of the week and I just need to focus on myself. The solution is to find a quiet space, close my eyes and just breathe. Breathe and clear my mind. I guess this is kind of like meditation which I'm dying to learn. This will be ongoing for me. 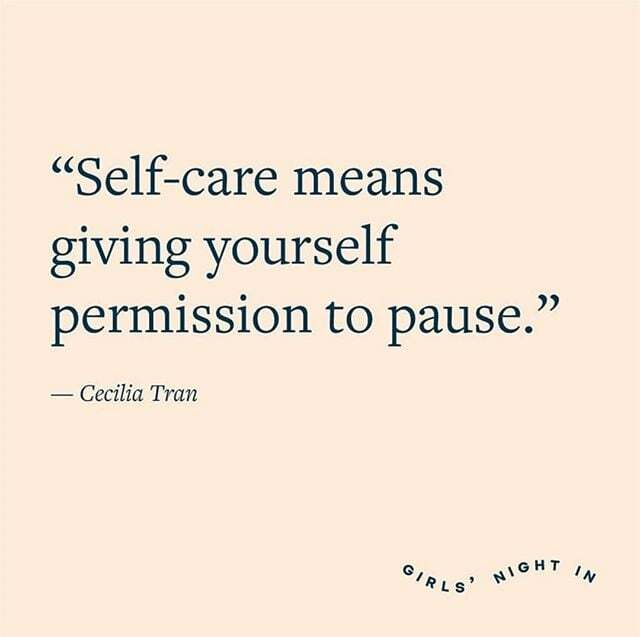 I may have to create a checklist to remind myself to take care of myself every day.